Much of this so-called 'love' is not actually emotion extended from the heart in an unconditional exchange of bonding. It is an immature form of love, expressing itself through channels restricted by limiting beliefs and emotional wounds. Although intentions may be good, the energy of the love feeling often becomes twisted by these restrictions and ends up expressing something quite different than the original intent. An example of this would be when a romantic relationship goes sour and partners end up hurting each other rather than supporting each other. Or family members that keep trying to get along, but repeatedly fall into patterns that create separation rather than closeness. 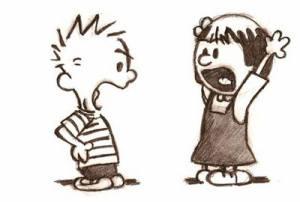 There are many practices that have systems of handling our emotional landscapes so that we can learn to be more 'loving': psychology, religion, philosophy, etc. But love can be also be contemplated from the reference point of the evolving human energy system. We are a developing species, always involved in a process of growth - physically, emotionally, psychologically, and spiritually. Our energy system is presently changing at a rapid rate, and it may be an important key in learning how to truly exchange a mature love with the world around us. During this last period of human history, most of us have had intense activity in our solar plexus chakra, an energy vortex that connects into our physical body right at the solar plexus (a little below the sternum, and above the navel). This chakra stimulates the digestive system, regulates function of the pancreas, generates alot of emotional activity, and promotes individuality and personal power. As a person's energy system develops, the chakras (or energy centers) in the upper part of the body start to become more active, and as a species we are moving more into the vibration of the activating heart chakra. This is one of the reasons we are so enthralled with the topic of love! We are learning about it as fast as we can, because we crave to be love, to know love, to feel love. We crave to understand and experience love that is vibrating from the heart chakra. But 'solar plexus love,' which is more associated with need, jealousy, and personal attachment, is not really love. When a charismatic leader takes heart energy and expresses it through activity of the solar plexus, it can entice whole populations into intense acting out of very unloving scenarios. Hitler is an example of this phenomenon, and cults and gurus often fall into this same pattern. Emotions expressed from the solar plexus chakra result in polarity, conflict, and extreme beliefs. 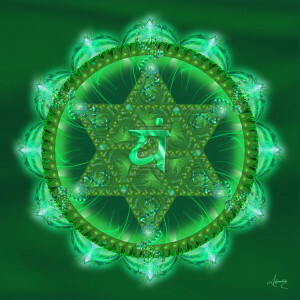 The heart chakra gives the capacity for a more non-personal, global love and compassion. It is detached from needing anything from anyone or anything. When someone's heart chakra is activated they feel unconditional love and care for other people, the planet, and all beings. It produces win-win solutions, empathy, synthesis, and compassion. We can promote our capacity for this kind of love by working with our mind and body to stimulate and regulate our energy system. Consciousness is the key to activating heart chakra energy. A little conscious involvement goes a long way towards being able to move more fully into this kind of experience. People all over the planet are waking up. As we learn to expand and regulate our energy systems, we will develop new methods of exerting leverage in the world around us. The power of a pulsating heart chakra is incredible and can transform suffering very quickly. Imagine how when you flick on a light switch, a dark impenetrable space can suddenly become completely visible and much easier to 'understand.' Activating the heart chakra is like turning on a switch. It can immediately change the perception of an experience so that suffering and pain are replaced by understanding, peace, and harmony. It is not a mistake that awakening is also called enlightenment. The Global Enlightenment Network is a communications network for the broadcast of activating heart chakra energy to promote harmony on our planet. It can also be used for information exchange, creativity, social activism, and entertainment. Your energy body is the ticket to get online the telepathic web. All that it takes is a little knowledge and a little practice, just like when you first used the internet. Please feel free to share any heart chakra or telepathic web experiences you have had in the comment section below.